We are back with Dr. Charles Fay. I'm so excited. We are still talking about love and logic, and parent training. I know, we think it's gonna be child training, but it's not. It's parent training. I can attest to it first hand because it took me far longer to get this than it took my daughter, who with every consequence, just got the behavior. She's a really quick learner. Dr. Daniel Amen:	Well, and as a child psychiatrist, parents bring their kids to us all the time, and they go, "Fix the kid." I'm like, "May not work that way." We have to get everybody in the family right. Yes, I can drug his brain or her brain into submission, but it's probably not the best long term solution. Tana Amen:	Right. I borrowed one of your ... and if I can just quickly, and then I want to have you jump in, Charles, and tell us another example, but I just want to really quickly. I stole this right out of your book. I borrowed it, stole it, whatever, but it worked. I had this daughter. She was so strong willed, and she just, she was throwing this massive temper tantrum because she didn't get what she wanted this one day. She was five or six. We were doing something really special as a family that day. Now, this was the hard part, because it's painful to let your kids pay consequences. I find that when I'm actually trying to help people and coach them through this, the biggest problem is parents don't want to follow through, because it hurts when you watch your kids paying consequences. So, I set it up in advance, because she had been going through this. We had this big day planned. She had this massive temper tantrum. I had to leave the room for about 20 minutes, because I was just like ready to just lose my mind. I had to let myself cool down. I needed the time out, so that I could cool down without losing my temper. I did not lose my temper, and I was ready for it. I had a babysitter on standby. I've never had a babysitter for my daughter, so it was highly effective. She was shocked because she's never had someone come to the house and watch her. She walks in and my daughter immediately looks at her, someone she knew, and she goes, "Oh, you're going with us." She looked at her confused. She looks at me. I said, before they could even get into it, I handed her a list of chores and I said, "After she finishes her chores and her homework, there are some games you guys can play, but not until she's done with everything." Dr. Daniel Amen:	She takes allowance. Tana Amen:	Never again. I came home. She was in a great mood. And she never again did that, never. Tana Amen:	It was hard. Dr. Charles Fay:	Yeah, to take charge and mean business in a loving way, we ironically don't have to do business as often. There are a couple concepts that you brought out that maybe we can unpack a little bit and be helpful for people participating. The first is that when we change, very few kids come to us and say, "Nice work, mom." Tana Amen:	Oh yeah, no. Dr. Charles Fay:	That can really appreciate those new skills. You are rocking. You're just all that. Tana Amen:	No, they make you feel guilty. Dr. Charles Fay:	Change is hard for all of us. Good change is hard, and this is good change, but it's forcing the kid to grow. Growing is not fun. It's hard. I remember when I was a little kid and I grew, and sometimes I'd just have pains. My arm was longer, so it got stuck in car doors when I didn't want it to, and things like that. It's just a hard process, growth is. Our kids will not grow unless we are able to hold them accountable and set those limits. That's the first concept, there is a price to pay, and that is that the kid will not thank us. The second concept is we need to have something on the tip of our tongue we can say, instead of blowing it. That happens. A concept in psychology that I learned years ago is that it's always more effective to give somebody something new they can do, rather than saying, "Don't do that." Tana Amen:	Don't do it, right. Dr. Charles Fay:	It's always more effective to say, "Hey, when you're hungry, you might want to go out and walk," rather than saying to the person, "Don't eat so much." Tana Amen:	We say, Replace, don't erase." Dr. Charles Fay:	Yeah, exactly. There you go. It's a much more effective concept. And the same goes with the parents. I don't go around saying to parents, "Don't get mad when the kid argues, or don't give in." I don't say those things. I say, "Oh, the next time the kid argues, experiment with not thinking about it at all. Just go to a little happy place in your mind. Just go brain dead, then smile at the kid and say, 'What did I say?'" It's helpful if you can sing. "Oh, what did I say?" "Well this is, you're at a, I have to go to practice now because my coach is gonna be really mad and she's gonna." "Oh, what did I say?" "Yeah, but I shouldn't have to do that stuff now." "Oh, what did I say?" "Yeah, but you say it all. You can say yes." "What did I say?" Then putting some space between us and the kid. Big concept. Big picture concept again is who's controlling the weather in this house? Tana Amen:	Yep, I love it. Dr. Charles Fay:	Is it the kid or is it me? Tana Amen:	One thing I've found is that over time, so when I first started doing this, it was really hard, but not only did it get easier with practice, but I started to find something. It's so much less work on the parent. Once you finally figure it out, because it takes the work off of you, and puts the responsibility onto them where it belongs. Instead of me rescuing her, me figuring out, me always stressed out, me trying to be frustrated because she's not doing what she wants, me trying to figure out. That is just too much work. That's why I kept thinking parenting's not supposed to be this hard. It's not. That's what I learned with love and logic, was that when I finally figured this out, and I did exactly what it said, when I finally was better and better at letting her pay the consequences of her own action, letting her deal with those consequences. I went, wow. Okay, I actually got to now be her coach. I got to be authentically empathic and be there for her as she suffered. Tana Amen:	Yeah, no. I did. 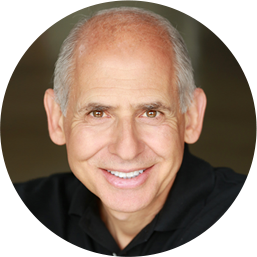 Dr. Daniel Amen:	At night. Tana Amen:	It was a battle. Dr. Daniel Amen:	Third grade? Dr. Daniel Amen:	Although you thought she had ADD. Tana Amen:	I thought she did because of these crazy behaviors. I finally walked up to her one night and I said, "Sweetheart, I love you so much. I am never going to ask you to do your homework again." She got super suspicious. She was like, "That doesn't make any sense." She was very articulate early on, which was part of the problem. So, I said, "No, I'm serious. I love you so much. I don't like to fight with you. I'm never going to ask you to do your homework again. You either choose to do it, or you don't. I've already done second grade. These are your grades. They're not mine. I realize I've been making them my grades. If you don't want to do it, you don't have to." She looked at me really like she still did not believe me. She goes, "That still doesn't make sense." I said, "No." I said, "It's okay. If you're okay with the consequences that go with it, if you're okay," because she loved her teacher. I said, "If you're okay with Mrs. Mink being upset with you, if you're okay with sitting in the classroom during recess, if you're okay with those things, that's fine with me. I love you enough that I'm gonna let you do what you want. And you're such a cute kid, you're gonna make new friends next year when your friends move on to third grade." Oh my god. She threw her pencil down, jumped off the seat. She's a very strong willed child. Jumped off the seat. "I never said I'm not gonna do it, I just didn't say I'm gonna do it right this minute." Walked away. Comes back on her own 20 minutes later. Never asked me for help. She actually never ever said a word to me about getting her homework done again, other than if she got stuck on a problem and needed my help. Never again. It was the craziest thing. Dr. Charles Fay:	That's a beautiful example. I often say to people, "Great leaders, they're always trying to work themselves out of a job." What that means is, they're empowering other people with skills. They're saying, hey here's how we do this. Here's a way to do it. Then they allow the people to make mistakes. That sounds kind of familiar. Then they allow the people to learn from it, and they keep backing themselves out as much as they can, so that those other people are really, really empowered. That's the beauty of it is when we love people, we empower them. So yeah, as a parent, we are really backing ourselves out of the loop as much as possible. And here's the goal. I don't know if we ever reach this goal, but here's the goal. The kid is tired-er at the end of the day than we are. Tana Amen:	Yes. You know that's really the goal. Dr. Charles Fay:	I want my kids to go to sleep and think, "Oh geez. Making all these decisions today. My goodness. My parents just walk around all the time and act nice." Dr. Charles Fay:	"And come up with suggestions, but they don't do anything around here." Tana Amen:	I have to add one comment to that because there's one thing in addition to being tired. My daughter blames us for the fact that she now has an anxiety disorder. She's so anxious about everything being in on time. She's like, "It's your fault that I'm so nervous all the time about my grades, about schoolwork, about" ... I'm like, "How is it my fault?" She's like, "Because I worry about everything now," which she is the one that should be worrying about it. Right? She's the one that should be worried about it. It shouldn't be me worrying about her grades. It should be her worrying about her grades. But she blames us for her anxiety disorder. Dr. Daniel Amen:	Well, and just so our listeners get this clearly from me, I used to think my job as a psychiatrist was to decrease people's worry until I realized that's completely not my job. The don't worry, be happy people die the earliest from accidents and preventable illnesses. Tana Amen:	Right, she has appropriate worry. 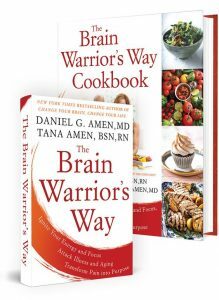 Dr. Daniel Amen:	Now, I don't want people going around worrying, but I want them to do the right thing so that their life is amazing. She's getting straight A's in school. Tana Amen:	She has straight A's. She is appropriately worried. Dr. Daniel Amen:	She's appropriately worried. Dr. Charles Fay:	Yeah. All that, the research tells us that stress can be really good for kids, as long as it's not over the top. Dr. Charles Fay:	Of course. But the key factor seems to be is that stress buffered by a loving relationship with an adult. So, kids can take some pretty tough classes and have some pretty tough coaches and run in some pretty challenging problems they need to solve. And when there's a parent or a teacher or both ideally, that is there saying, "Hey, I love ya and I'm rotting for ya, and I will be here to give you ideas." "Will you make my coach start me?" Dr. Charles Fay:	Oh honey, nice try with that one, but I will give you some ideas about how to talk to your coach. Tana Amen:	Or a restaurant. 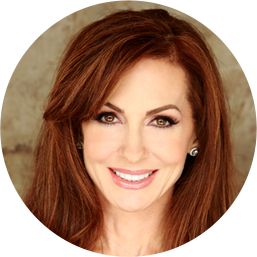 Dr. Daniel Amen:	And they throw a fit? What would the love and logic approach to the fit be? Dr. Charles Fay:	Well, one of the things I think this ... I don't know if I can back this with any data. I probably can't, but I think kids can sniff out when we're worried that they might embarrass us. Dr. Charles Fay:	They can sense, mom is looking a little socially conscious today. Maybe I just might ramp it up a little bit. So, with all joking aside, I want to have that demeanor that non-verbally communicates to the kids that I'm really pretty hard to embarrass, but I will hold you accountable for what happens in the store. So, let's say that my kid goes to the store, has a major fit. First thing, I learned this from my father. First thing is my own self soothing behavior, because I need to have a little voice in my head that I repeat. I just say to myself, "I did not come to Starbucks in the mall right now to build a lasting relationship with other coffee drinkers." Dr. Charles Fay:	Hang out here. Then when the kid starts throwing a fit, I can ... I like to use humor. There are many times where I've looked at my kids, and my kids have thrown fits in the store. I like to look at them and say, "I am so disappointed in that fit. The last one you threw was just so much better and I'm really fearing that you're losing your touch. I mean, this isn't quality. You need to put a little more effort into that. I'm really disappointed with it." Tana Amen:	Oh, that's great. Dr. Charles Fay:	"A big value in this family is working hard, and you are really slouching on that fit." Dr. Charles Fay:	It really irritates them. If they have a fit, because some kids are strong willed enough, they will test it. You'll just go with it. You say, "Wow. Way to go. That's looking so good." Other people will give you the stink look. Who cares about them? You're giving them some entertainment, and you are providing an important community service. You're improving their self esteem on that day. Dr. Charles Fay:	I just laugh about this stuff because it is kind of fun, and it does set the tone differently. Again, repetition is the key to learning, so here I am. My background is in teaching education. Who's creating the weather in the home? Tana Amen:	So where is the consequence there, though? Dr. Charles Fay:	Well, the consequence might have to come later. Dr. Daniel Amen:	That's when people ground children for the summer. That's the consequences that you ... You're grounded for the summer. Tana Amen:	And you know you're not gonna stick to it. Dr. Daniel Amen:	Because of that fit in Starbucks. Dr. Charles Fay:	I like this one. The next time you go out, you say to the kid, and you don't tell them ahead of time. You just let them know right when it happens. "I love spending time with you, and I really do." And this is sincere, by the way. "The empathy has got to be sincere. I really do love spending time with you. The day you were born was one of the greatest days of my life. Today, I don't have the energy for a fit in Starbucks, so you'll be staying with Miss Helen. You remember her?" "She doesn't even let me play with my" ... "Yeah, well, she's tired, so try to make friends with her. By the way, she's gonna ask you how you plan to pay her, so have a good one." And when I get home from the trip, and this really is important. It's eternally important. When I get home from the trip, I'm just glad to see him. I don't bring it up. Just when it's done, it's done, and tomorrow's a new day. Tana Amen:	I like that. You let it go. Dr. Daniel Amen:	When we come back, we are gonna talk about some hard things, like drug abuse, in love and logic, and what about young adults who you have enabled to act badly and didn't set limits. When we come back with Dr. Charles Fay. You can learn more about his work at LoveAndLogic.com.